Mr. Hamilton asks that Miss Berry informs him when Mr. Henry Ford will be visiting the Berry Schools so he can come speak with him. Mr. Hamilton was a patient at the Henry Ford Hospital in Detroit and experienced Mr. Ford's hospitality firsthand. He hopes to catch Mr. Ford at Berry because he know how hard it can be to get to him at his office in Detroit. 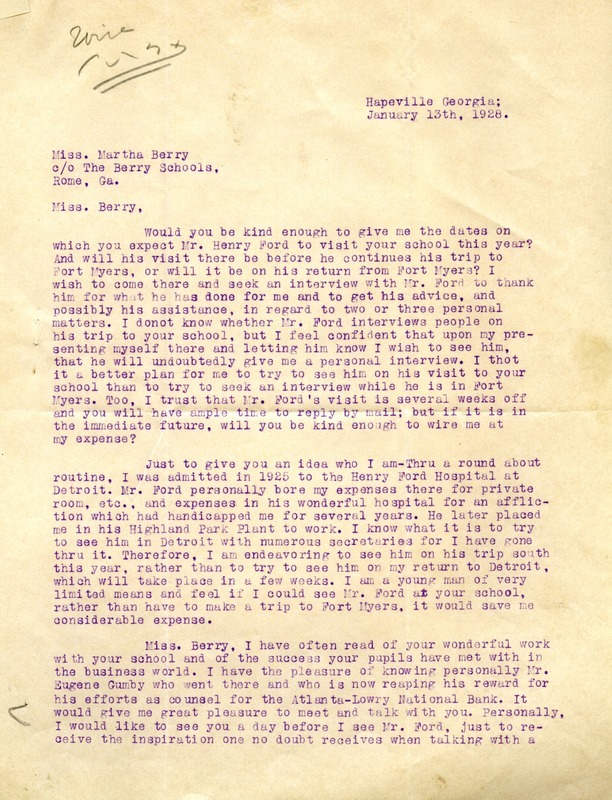 He compliments Miss Berry's work and says he would love to get a chance to speak to her as well. He thanks her for her time and asks for a response as soon as possible. 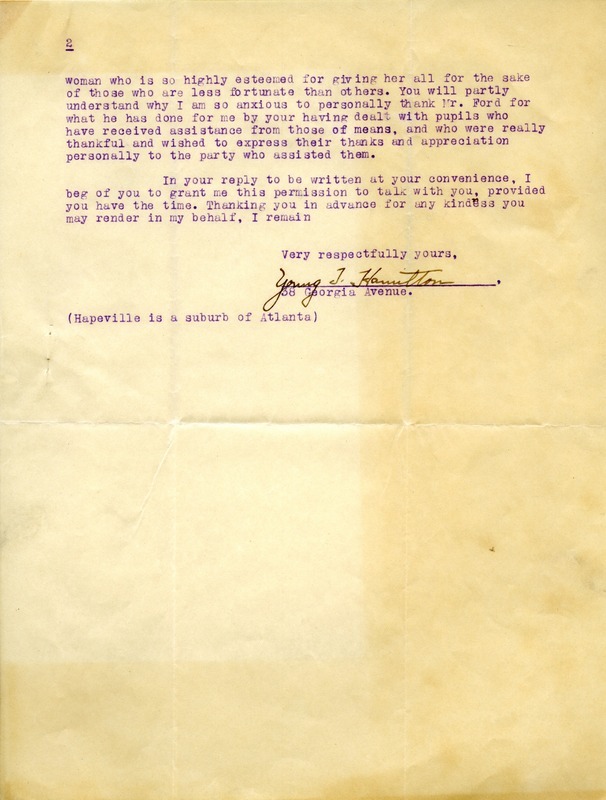 Young J. Hamilton, “Letter to Martha Berry from Young J. Hamilton.” Martha Berry Digital Archive. Eds. Schlitz, Stephanie A., Meg Ratliff, Allison Moore, et al. Mount Berry: Berry College, 2012. accessed April 22, 2019, https://mbda.berry.edu/items/show/7695.